Grid computing has arisen as the next-generation infrastructure for high demand computational applications founded on the collaboration and coordination of a large set of distributed resources. The need to satisfy both users and network administrators QoS demands in such highly changing environments requires the consideration of adaptive scheduling strategies dealing with inherent dynamism and uncertainty. 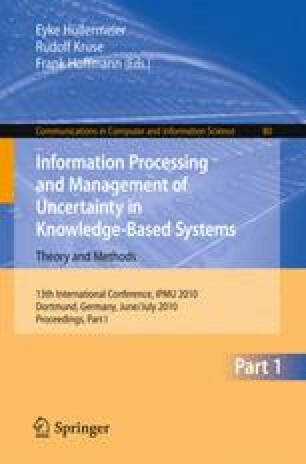 In this paper, a meta-scheduler based on Fuzzy Rule-Based Systems is proposed for scheduling in grid computing. Moreover, a new learning strategy inspired by stochastic optimization algorithm Differential Evolution (DE), is incorporated for the evolution of expert system knowledge or rules bases. Simulation results show that knowledge acquisition process is improved in terms of convergence behaviour and final result in comparison to other evolutionary strategy, genetic Pittsburgh approach. Also, the fuzzy meta-scheduler performance is compared to other extended scheduling strategy, EASY-Backfilling in diverse criteria such as flowtime, tardiness and machine usage.